As some of you LUXERs already know, blogging has become the most popular choice for people across all forms of business. Whether it be authors, fashionistas, small or large companies, health gurus–everyone has found themselves turning to blogging to gather an audience to share their passions with. As mentioned in previous posts, blogging has become a business within itself, and if you’re looking to get started, you’ve come to the right place because we still get that one famous question “how do I start a blog”? So we’ve decided to create a post on the popular subject that will help get you on the right track, as there are many resources out there to create a blog. We don’t want to try to reinvent the wheel, but only give you quick advice. Not only will blogging provide you with a platform to develop an audience but also, it will expose you to other opportunities for business and create partnerships. One way the blogging universe has surpassed traditional online marketing is with cross-promotion. Cross-promotion is an efficient way to tap into established communities that don’t require an ad or much more investment. Contrary to more traditional forms of promotion through social media, this form will help you gain a genuine introduction to a new audience and increase inbound traffic. Below, we provide you with the most important steps and tips to get you started on a blog and how to expand it when you’re ready. It’s easier than you think! First and foremost, decide what you want to blog about. Finding what you’re passionate about usually helps with this. Whether it’s travel, business, fashion, health and fitness, it’s important to know what you would love to spend the years ahead talking about. Remember: a blog’s purpose isn’t only to share or inform, it’s also to motivate others to enhance their lifestyles with your provided inspiration. Choose a platform and domain. There are many platforms available at the moment that makes it easy to start a blog. WordPress and Blogger are popular choices. They’re free and while Blogger is easy to use and has more template choices, WordPress is a little more complicated. WP has two options:WordPress.org and WordPress.com (the free version), and our platform of choice for now. The two types of blogs both provide plenty of support and a large community to interact with. After the platform has been chosen, it is time to choose a domain name. One that people can remember or is distinctive. Bloggers usually go with their username from a different platform, like Instagram. This keeps things simple and creates a flow among platforms that readers can easily follow. Add site links to your pages to cross-promote. When thinking of ways to integrate cross-promotion into your blog, adding links to your content is a great strategy for introducing relevant markets to your audience. These links may garner a link back to your page, creating greater exposure for your blog as well. Partner with local businesses or fellow bloggers. 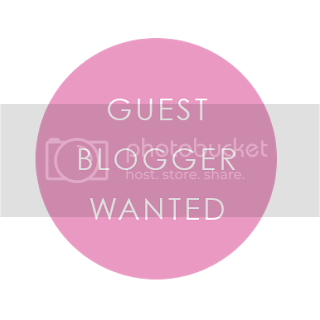 The same way that magazines like Vogue or Cosmopolitan have guest editors, blog sites can have guest bloggers as well. Reach out to another blogger who you’d be interested doing business with and ask if they’d like to share their voice on your blog. If they do, they’d share a link to their post on your blog, guiding their audience to you and vice versa. It’s the perfect win-win situation. There are many classic techniques to starting a blog. These are a few you can utilize immediately to build and grow a successful one. Improvement comes over time, and there are always new methods being developed to get bigger and better. In the meantime, get in touch with us here and we can help you get started on your blog with a social suite strategy session or provide any further advice. Happy blogging!